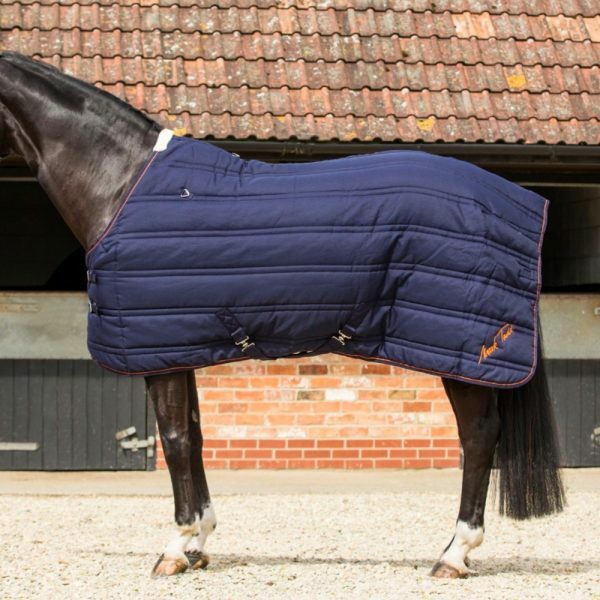 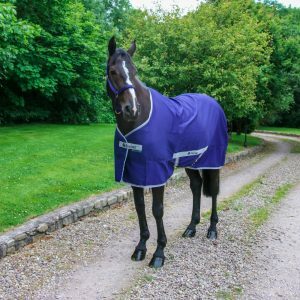 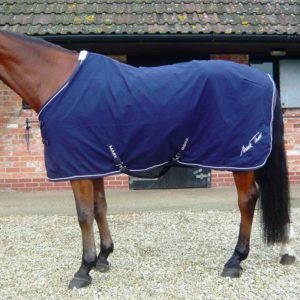 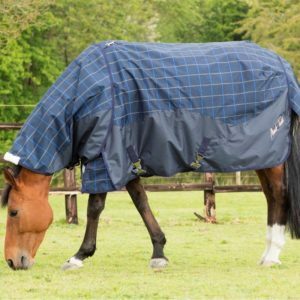 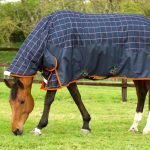 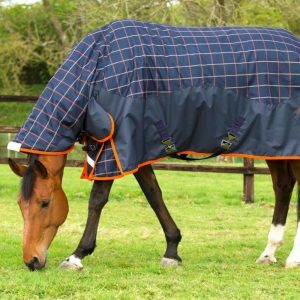 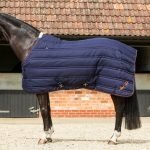 The Mark Todd Mediumweight Stable Rug: Navy/Orange is a practical rug is ideal for autumn and winter use. 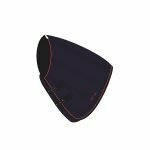 It has a 300 denier breathable, polyester outer and inner nylon lining with 250g filling. 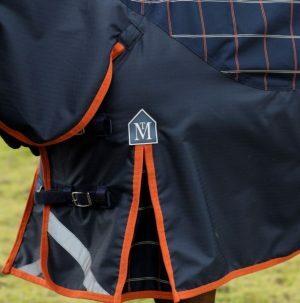 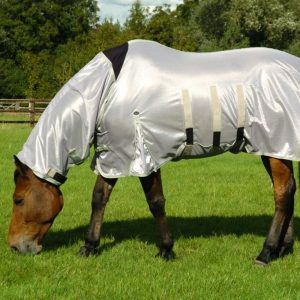 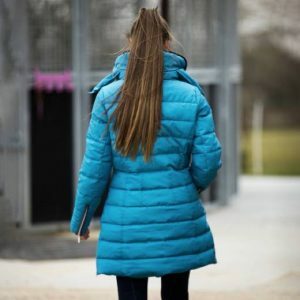 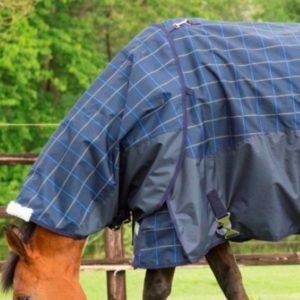 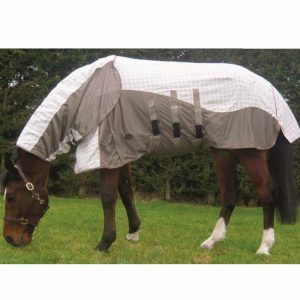 It features adjustable double front buckles with quick release clips, adjustable low cross surcingles, reinforced nylon anti-rub shoulders with gussets, a fillet string and fleece wither protection for added comfort. 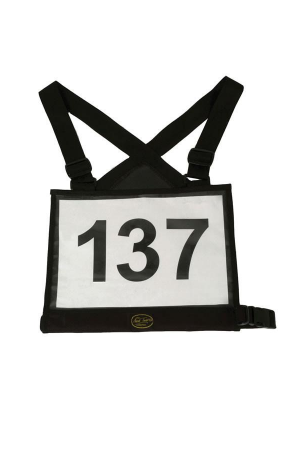 There are three D-rings for the optional neck cover.